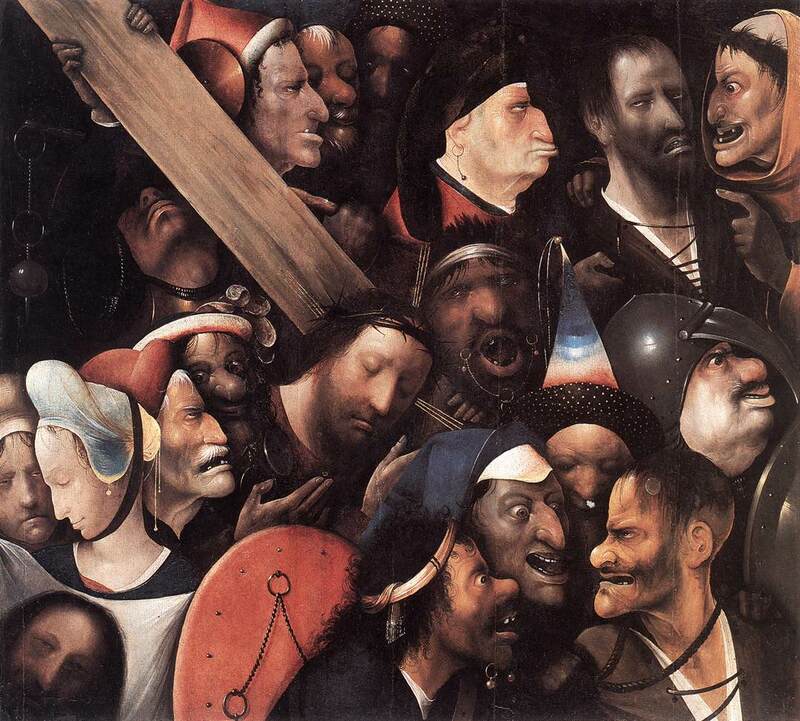 Artwork: Hieronymus Bosch, The Carrying of the Cross, c. 1510. Oil on panel, Museum voor Schone Kunsten, Ghent. 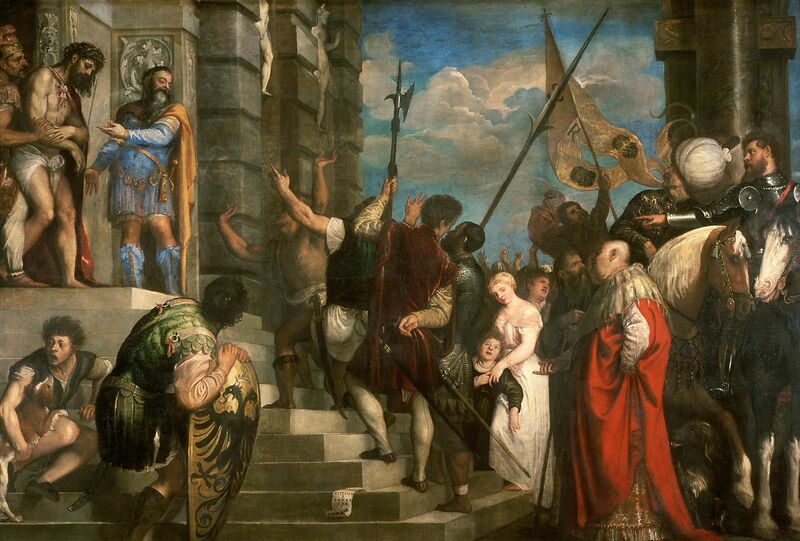 Artwork: Titian, Ecce Homo, 1543. Oil on canvas, Kunsthistorisches Museum, Vienna. Leo is believed to have been born in Tuscany and served as a deacon and papal advisor before being chosen pope in 440. He is one of the most important popes of the early church because of his achievements in theology, canon law, and church administration. Leo defended uniformity in church government and doctrine and bolstered the primacy of the Roman see in the church structure. In his letters and sermons, he argued that, as heir to St. Peter, the bishop of Rome holds a supreme authority over the church and all other bishops. This was not universally accepted during Leo’s papacy, but it strongly influenced the future course of the church. His greatest accomplishment was as a theologian. 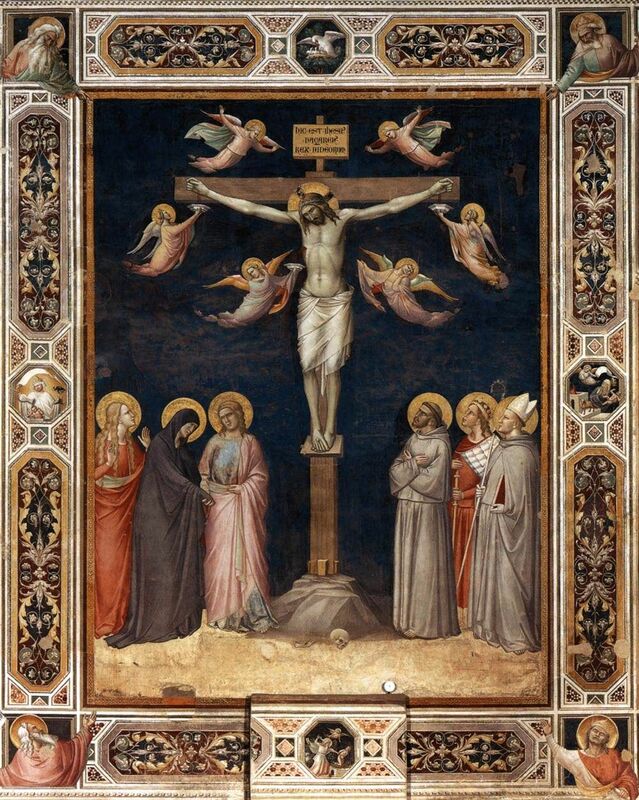 When the Council of Chalcedon was convened in 451, Leo wrote a Tome to Bishop Flavian of Constantinople that contained a clear and cogent statement of the dual nature of Jesus Christ. He described Christ’s two natures, divine and human, as permanently united “unconfusedly, unchangeably, undivisibly, and inseparably”. 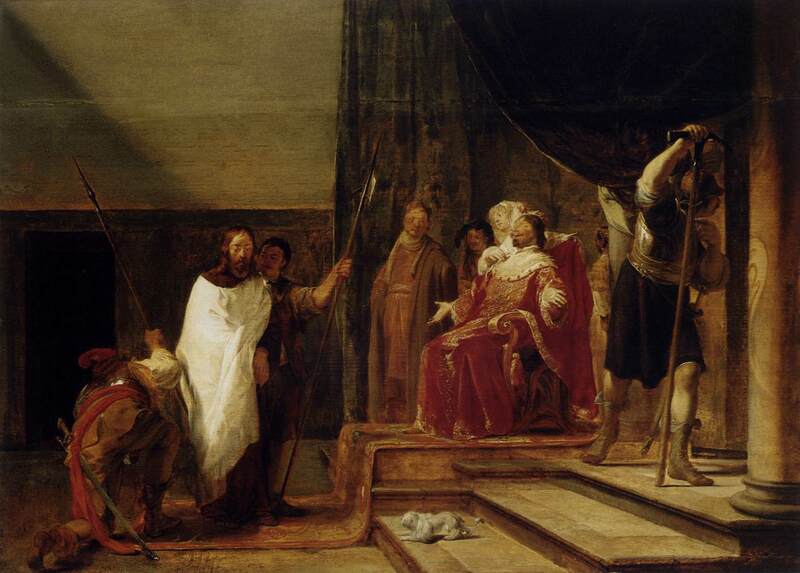 When Leo’s letter was read aloud at the Council, the delegates cried, “Peter has spoken through Leo”, and his teaching was accepted as defining the doctrine of the Person of Christ. Twice during Leo’s pontificate, Rome came under threat from barbarian invaders. In 452, Attila and his Huns advanced on Rome after sacking Milan, but Leo saved the city by persuading Attila to accept tribute and withdraw. In 455, however, he was not as successful dealing with Genseric, leader of the Vandals. Leo did persuade the Vandals not to destroy Rome and murder the populace, but they plundered the city for a fortnight and took prisoners to Africa. Leo sent priests and alms to the captives. Leo was the first pope to be buried in St. Peter’s Basilica. 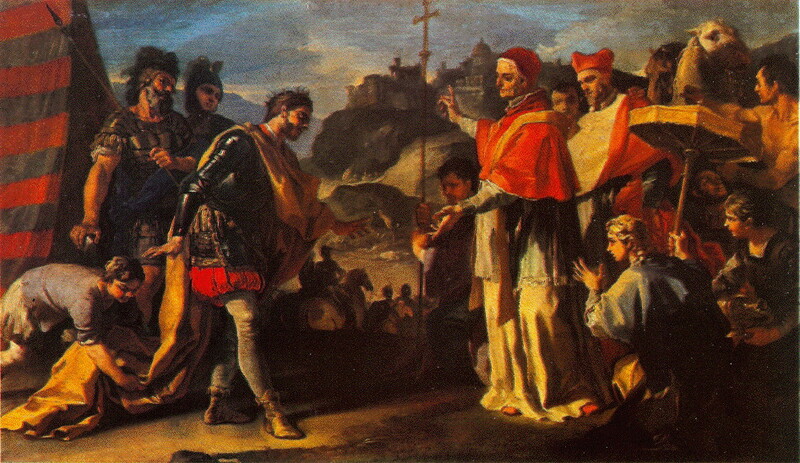 Artwork: Francesco Solimena (1657-1747), Saint Leo the Great Going to Meet Attila. 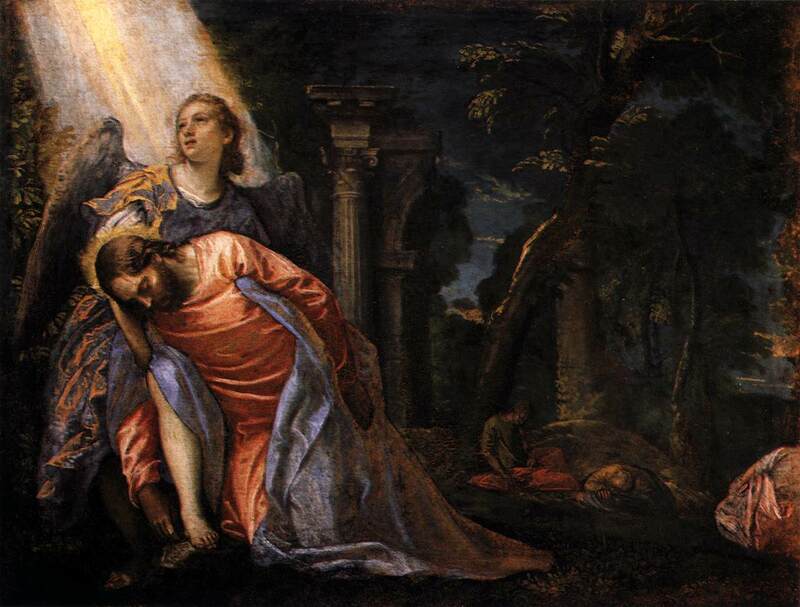 Oil on canvas, Pinacoteca di Brera, Milan. 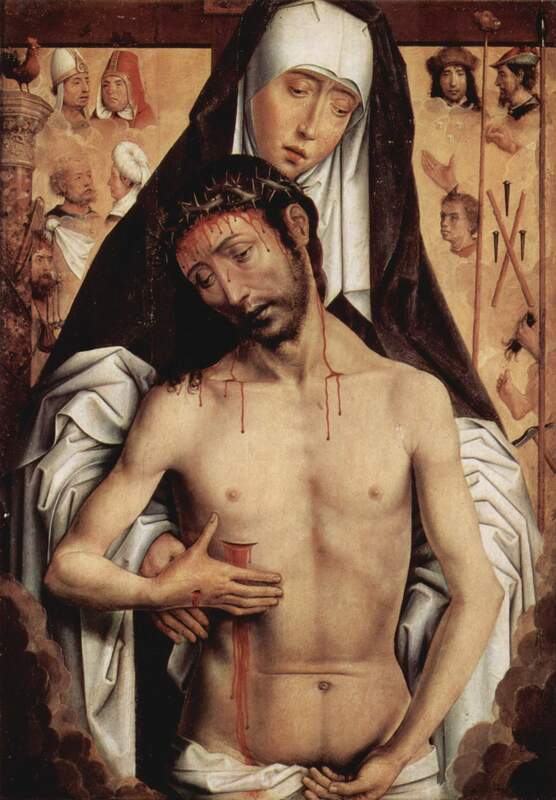 Artwork: Hans Memling, The Virgin Showing the Man of Sorrows, 1475 or 1479. Oil on oak panel, National Gallery of Victoria, Melbourne. Fr. David Curry has collected his four Lenten Programme addresses into a single pdf document. Click here to download “Thinking Sacramentally”. Artwork: Francisco de Zurbarán, Saint Ambrose of Milan, c. 1626-27. Oil on canvas, Museum of Fine Arts of Seville.